Let’s visit the Seoul Museum of History! The Seoul Museum History is located very close to City Hall, Gyeongbokgung Palace and Deoksogung Palace, so it is a great place to visit to understand a little bit more about Korean history, but especially about Seoul history! There are exhibits from the prehistoric era to the modern era, and an indoor and outdoor exhibit. The museum was renovated in 2002, and you will find a lot of very interesting things to do! There is a touch museum – where you can directly touch ancient tools, the experience space – a corner made with presented real objects and model where you can directly work with replicated relics and there is also the amazing ‘Seoul City Panoramic Theater‘ which is huge and very realistic model of Seoul. 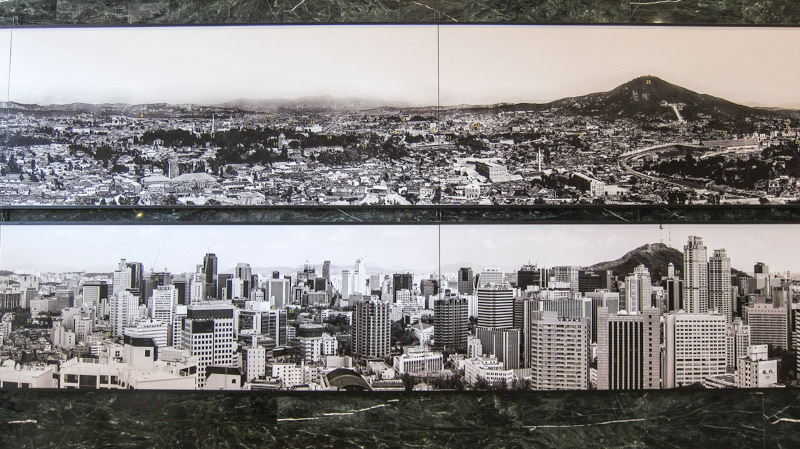 It presents the entire 605.25 ㎢ Seoul cityscape at a glance under the theme of ‘Seoul, Now and in the Making.’ The dimensions of the hall is 317.29㎡ all fitted by the extensive size model(21.5m x 14.5m). The museum is split up into four zones. Zone 1 is Seoul of the Joseon Dynasty (1392-1863). This zone depicts Seoul throughout the Joseon Dynasty from the establishment of the capital city, known then as Hanyang. It has a lot of very interesting information on specific areas within the capital, as well as what daily life would have been like. Zone 2 is The Capital of the Daehan Empire (1863-1910). This zone depicts Seoul as it transformed from the opening of the port through the end of the Great Han Empire. Zone 3 is Seoul Under Japanese Control (1910-1945). During this period, the Joseon Dynasty came to and end as Korea was colonized by Japan. Zone 4 is Development of Seoul (1945-2002). This zone describes the transformation of Seoul from its liberation from Japan to the World Cup in 2002. It is very interesting and exciting to see how Seoul has grown over the past few decades! This entry was posted in Spot and tagged activity in Korea, Museum, Seoul.